Hi, I'm Manó, nice to meet you. I am a multi-disciplinary UX Designer at Amazon, studying Informatics at the University of Washington, specializing in UI/UX Design, Human-Computer Interaction, Visual Design, Content Strategy, Information Architecture, and VR/AR/MR Creation. Previously, I was a UX Design Intern at Amazon and Product Design Intern at Alaska Airlines designing virtual gifting experiences, responsive seat maps, dynamic checkout flows, and implementing gamification elements. Before that, I volunteered as a Creative Visual Designer for OceanGate creating a virtual prototype of their submersible which is being implemented in the Titanic Expedition in 2018. During the UW academic year, I'm an Undergraduate Teaching Assistant at the iSchool educating scholars about immersive technologies and approaches to analyzing, designing, and building interactive 3D worlds. Most of my work has been in the UI/UX field, but have been focused on moving to Product Design for designing end-to-end experiences, and creating fluent digital products that engage, satisfy and educate. Design has an immense psychological impact. Every product should be created with the utmost consideration towards minimizing negative emotions. An articulate design brings relief, utility, and, if possible, beauty, into ordinary people’s lives. Through my work, I hope to reduce digital anxiety and create experiences that increase our understanding of one another and the world as a whole. Empathy in all stages of the design process will drive the formation of an ideal future while increasing the spectrum by looking at the bigger picture of how design, technology, and ubiquitous computing can make a larger impact on our everyday lives. I was born in Hungary, you'll notice the funky accent! Immigrated to the U.S. when I was 11 years old without speaking any English. Grew up in the rainy suburbs of Seattle, and moved up to downtown for UW. A decade later I became a United States Citizen! Design: Sketch, Illustrator, Photoshop, InVision, InDesign, Principle, Flinto, Zeplin, Figma, Origami, and Framer. Spearheaded the Virtual Gifting innovative project with the C3UX Team and C3Tech in Consumer Organization. Created a gifting experience that evokes sentimental value and also bridges the gap between sending and receiving gift-cards and physical presents. Replicated the experience of physical gifting without losing the elements of excitement, surprise, and sentiment. Drove engagement by having a delightful, immersive, and engaging experience. Designed a scalable and trusted environment that applies to all gifting scenarios. Achieved customers positive reaction through user testing while decreasing the need to look elsewhere. Product exceeded set expectations and currently being developed. 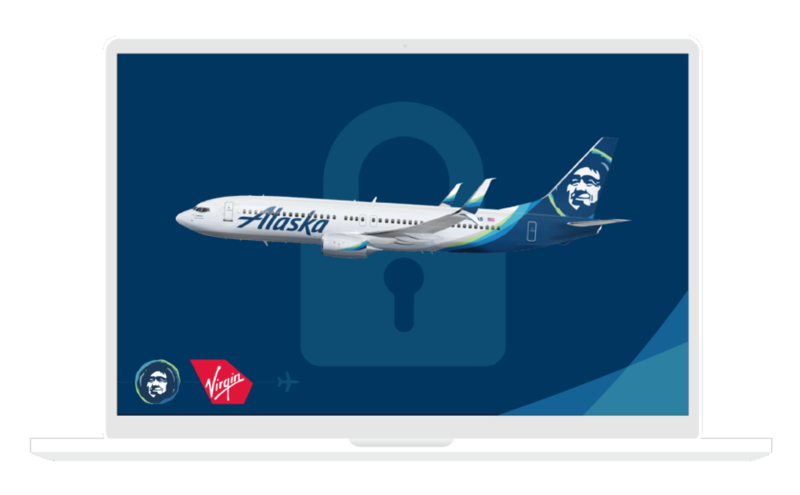 Collaborated with the design and research team to create comprehensive products for the Alaska Airlines responsive booking site and mobile application, producing deliverables such as wireframes, user flows, prototypes, and final production assets, to create an airline people love. Spearheaded designs for Check-Out, and Loyalty Value Stream's to drive the minimum-viable product through ideations and iterations. Created seat- maps, Ads placements, gamification, Digital Style Guides Library, Design Systems, and VR/AR/MR Experiences. Lead Designer – Designing an app to provide advisors for those who in need of aid. Implemented a vision that allows professionals from any of these fields to volunteer and be able video chat with victims at the shelter to provide real-time advising from anywhere in world. The shelters would also have AidVisor Booths set up for victims to discuss their issues in private with their AidVisor. Lead Designer – Creating a visualized infographic featuring paramount phases that encapsulates the foundations, current progress, and future SpaceX endeavors. Each of the different systems presents a unique perspective of how it drives the company towards success compared to other competitors in the field while it also highlights statistical and visual facts about emphasized elements. The infographic is divided into six different sections, Falcon Launches, Making History, Mission Control, Process of Manufacturing & Launching, Rockets of the World, and Capabilities & Services. OS Designer – Designed a new mobile experience from the ground up, only starting with our wildest ideas and come up with creative ways that the public never seen before. Our vision was the NebulaOS, set out to create a better suite of apps with a native third-party integration support. Features and applications includes but not limited to a custom built conversations app called Comet, thermal calendar app, physical condition app, and a re-invisioned camera app inspired by the fine cameras of Leica. We first begins with understanding design language, then how gestures/haptics improve the experience, designing a mobile user interface framework, and finally design and prototype applications that will live on the platform of the mobile. Project Manager & DevOps – Working with a local company; OceanGate, Inc. based in Everett WA, serving the marine sub-sea market through manned submersible solutions developed from innovations in engineering, material science and technology from other commercial sectors. Simulated submersible training and expeditions in a Virtual Environment. Demonstrated how immersive experiences can be used to educate, train, and inspire people about real-world implementations, and their applications. Presented at Oceans’16 Conference, and featured in 5 media sites. President – Founded and Leading the largest Extended Reality (XR) student-run organization (RSO) in the Pacific Northwest, based at the University of Washington. Formerly known as VRA. XRA is a multi-disciplinary community of scholars at UW involved in exploring, learning, and creating VR/AR/MR experiences, while increasing awareness and accessibility across campus. Vice President – Provides official channels for communication between the Informatics undergraduate student body and the faculty and administration of the Information School. Provide an opportunity for social, educational, and professional activities for the Informatics student body. IUGA and its members are actively involved in the Information School community. It is the responsibility of IUGA to provide its members with the tools to help them both in their undergraduate studies and beyond, as well as to foster a greater sense of community within the Informatics program. Data Analyst Specialist – Analyzed a client organization problem and provided recommendations for improvements. Gender-based violence weakens our community and harms us all. That’s why I worked collectively with our members to end gender-based violence and promote equitable relationships. After I studied their systems and their interactions with the program we expanded their donor information system and helped them better utilize Salesforce information system. This not only drastically upgraded the quality of the data that the CEGV was able to pull, but it also improved the outreach to the donors, stronger and stable connection therefore organizing campaigns, events and donor gatherings more efficiently. Italian European Space Agency astronaut who holds the longest space flight by a woman and the first humankind who infused the first espresso in space. As a professional barista, Samantha and I share a strong bond for coffee and the culture that it yields and represents and she literally took this cultural symbol out of this world! She has been an influential person sparking my interest by mastering the art of coffee and the actual machinery of how an espresso machine is operating, especially in space. While she spent nearly 200 days on the International Space Station she became my role model not only because of her love of coffee but also for being the most passionate and geeky astronaut and I can relate to her in so many more ways. German born, award-winning designer raised in Austria and currently living in the United States. Tobias and I have came from sort of a similar background and interests such as love for rockets, photography and traveling. Both of us were raised in Europe and eventually made our way to the United States. We had a grand plan of becoming a software engineer and program away, but it was more challenging than we thought. Eventually we found our passion for design and Tobias took this opportunity to make a life career out of it. He developed products and services to a wide range of the world's most admired companies. He created one of his most notable designing project while he was working as a Lead Product Designer at Spotify, he masterfully redesigned the entire brand of the company by collaborating with Collins - a brand consultancy. While he continues to mentor and change the world one design at a time I will follow his footsteps and learn from this legendary man. Rear Admiral in the Navy, pioneering computer scientist who programmed one of the first computers, doctorate in Mathematics, discovering the first bug in the computer, and a remarkable leader. She devoted much of her time to COBOL language which is designed for business use. Ms. Hopper played an enormous role in convincing business managers that this language was feasible and would increase the efficiency of production and administrative systems. She even persuaded the United States Navy to standardize the language, in fact her influence was so successful that this language is still being in use today with 90% of global financial transactions are processed in COBOL. She had a unique perspective on how humanity always prefers to stay in the same bubble and too afraid to break out to try something different in order to boldly go where no man has done before. As she quotes "we've always done it that way", she believed that the idea needs to reformed and we must see things from a different perspective, be broad-minded. By learning about Ms. Hopper she helped me opening my eyes and see the world around me and the work I do with an open-mind and I must concentrate to see things that other's would not. Seattle based Global Design and Branding expertise company that uses the power of design to create brand people love - imagining what's possible then making it real in ways that transform business and industries. While this is a company not an individual it is still my inspiration because of the employees who make fascinating designs come alive. They really hit home when they re-branded University of Washington and Alaska Airlines. The amount of work and passion that they expressed into their work is phenomenal and it really changed the perceptiveness and eagerness of how people look at our school and airliner.